Easy to learn and use, Infor Mobile CRM has an attractive, task-oriented user interface with quick actions and context menus. 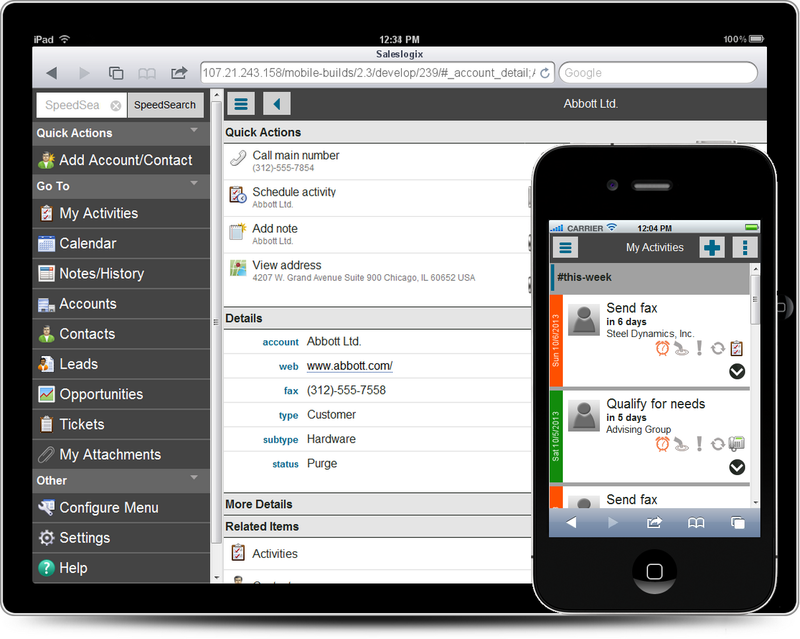 Interaction with native device functions such as mapping, dialing, and email further streamlines the user experience. Infor CRM Mobile 3.0 allows you to access your CRM data from a wide range of popular devices with no additional charge to Infor CRM customers. Customize and configure the application to meet unique business requirements and user preferences, and access key customer data both online and offline to drive 100% user adoption. Designed to provide an exceptional ownership experience, Infor Mobile CRM can be deployed quickly and easily, managed and customized centrally and updated automatically over the air.